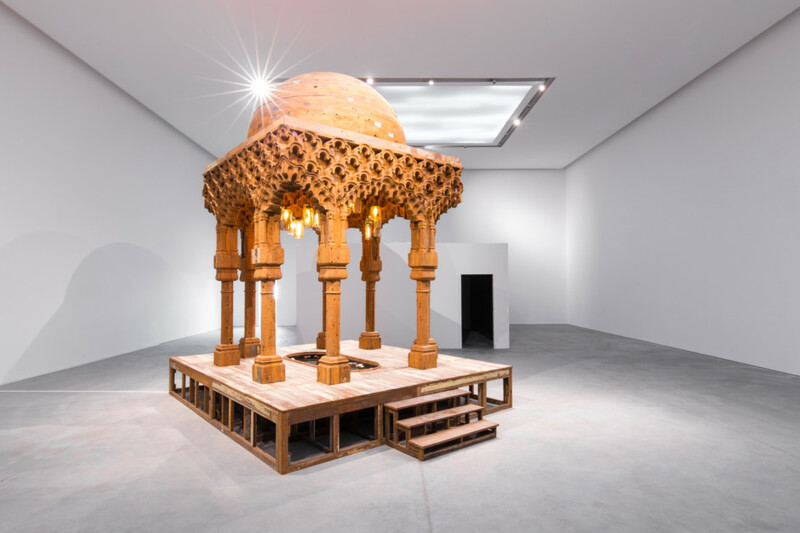 Indian artist Sudarshan Shetty is well-known for his enigmatic multi-media installations and wood sculptures. 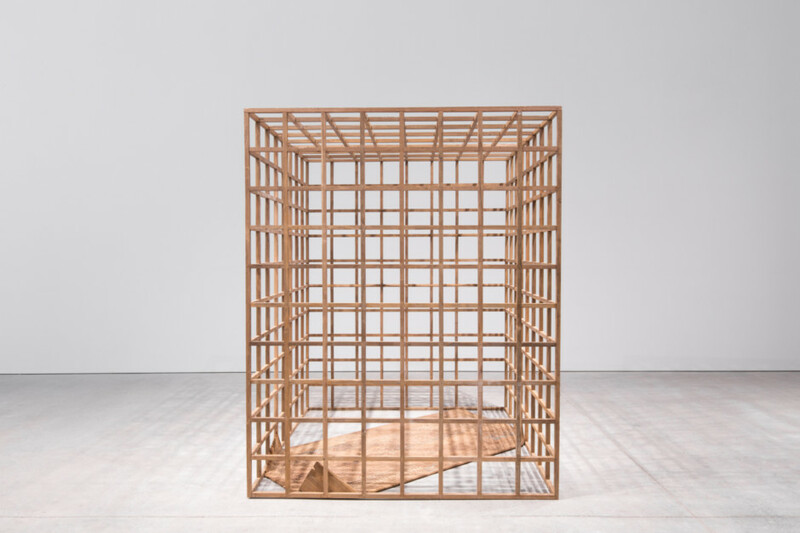 His first solo exhibition in Dubai, A Song, A Story and The Empty Vessel, presents two recent bodies of work that explore internal states of being through ordinary domestic objects. The meditative artworks showcase Shetty’s unique artistic language and the breadth and depth of his conceptual practice. The centrepiece of the show, titled A Song, A Story is an installation that combines music, cinema, performance, folklore and sculpture. It features two large wooden spaces that visitors can walk into. One is a home with carved latticed windows, and a single room furnished with a carpet and a hand carved wooden couch. A musical instrument (tanpura) lies in a corner. The other is a pavilion with a water feature and an elaborately carved roof from which hang several lamps. 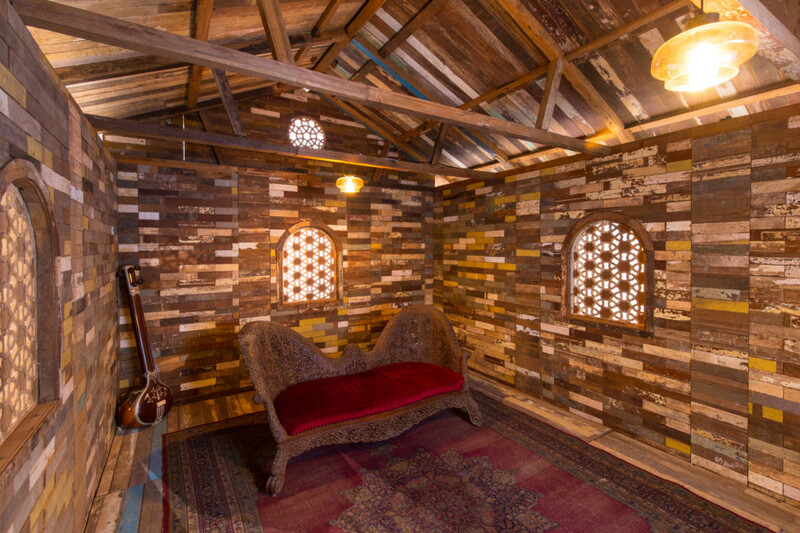 Both spaces are constructed from recycled wood and designed by the artist as sets for a two-channel film — the third and key component of this installation. The film is based on an Indian folk tale about a woman who hides a song and a story so deep inside her heart and for so long that they feel compelled to flee from her and decide to teach her a lesson. They escape her breath while she sleeps and take the form of a man’s umbrella and shoes. Seeing these objects at his doorstep, her husband gets suspicious and angry and storms out of the house, spending the night in the pavilion or hall of lights, where all the lights from the homes in the village meet every night. After listening to the conversation of the lights from his home, he realises the truth, returns home and rebukes his wife for suppressing her story and song. Sadly, his wife has no memory of them and is left puzzled and worrying about what she has lost. While the woman experiences these events quite passively, her husband goes through a gamut of emotions as he grapples with the truth. 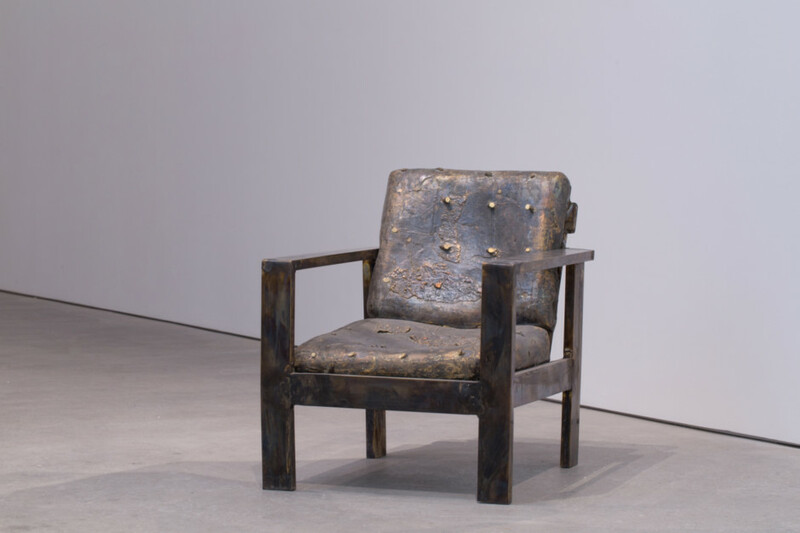 The second body of work, titled The Empty Vessel includes installations featuring everyday objects but with a twist such as a cooking pot embedded in a block of wood or at the bottom of a large wooden cone, an armchair cast in bronze and carpets made from wood. A video showing a man walking away is also part of this set. The artist is also showing an earlier body of work featuring broken china vases, cups and plates that have been put back to together with fragments of teak wood. I heard this story as a child and it has stayed with me because it is essentially about suppressed expression and loss. It says that if we are not conscious of the songs and stories we carry within us and do not tell them, they take on a life of their own and we lose them. This is also true for artistic expression, and the need for artists to tell their stories. Why is the story repeated by different people in different ways in the film? I am interested in keeping the narrative open to multiple interpretations and exploring how this multiplicity can exist simultaneously in the same frame of time and space. The story being told by a musician in the form of a song in the folk language, Braj Bhasha on a TV screen, while the woman sleeps, and then enacted by two actors on the same sets placed in two different locations is about exploring the different ways of telling a story and how we make a story our own by the way we retell it. The role of both poetry and a story is that they live on by people having made them their own and telling them in different ways. Why have you displayed the film sets in the gallery? I want to invite viewers to experience these spaces in their own way and find their own meaning in them. Every viewer brings something that becomes part of the work and takes away something different from it. This challenges the idea of permanence of an object or its interpretation. I must also point out that these structures themselves change every time we dismantle, transport and reassemble them in a new place, constantly getting a new life. For viewers to experience the sets and then watch the film, opens up the work to more possibilities of interpretation and of making it their own. What is the inspiration for the design of the sets? They are inspired by Eastern and Western architecture, but do not resemble any existing building, so they are familiar yet unfamiliar. One is a private home and the other is a public space. 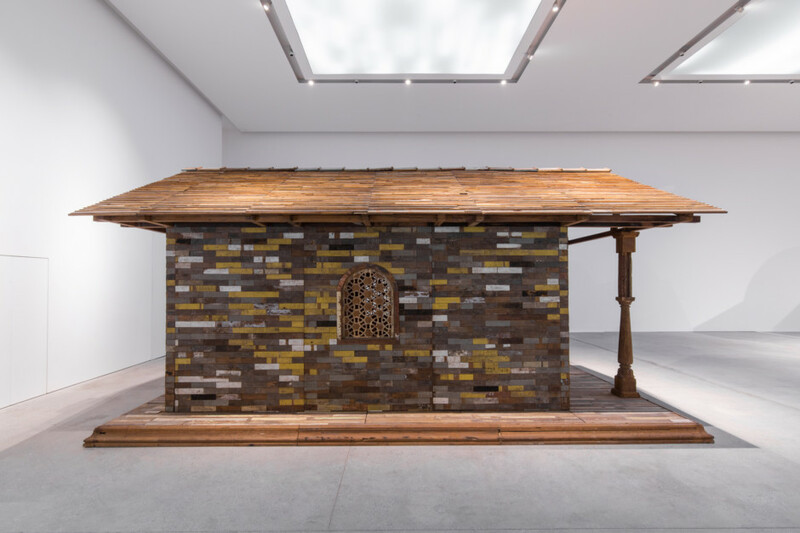 The pavilion has a water feature in which the man immerses himself suggesting submersion in ignorance, and a reawakening after listening to the conversation of the lights. What is the significance of using recycled wood for these sets? I buy the wood from second-hand wood markets in Mumbai and leave the scratches, marks and paint on the wood untouched, thus incorporating the unknown stories and histories it carries into my artworks. My artisans learnt their craft catering to the fake antique furniture market in Mumbai, so there is another layer in the story regarding the idea of authenticity and reinterpretation. What do you want to explore through The Empty Vessel? This body of work is about exploring the relationship between objects and consciousness. It looks at the idea of emptiness through familiar objects that remind us of our own mortality and finding meaning in the emptiness left behind. The pots represent the physical body that carries life and the artworks examine the depth of the emptiness left behind. Similarly, the folds of the carpet suggest the emptiness underneath. 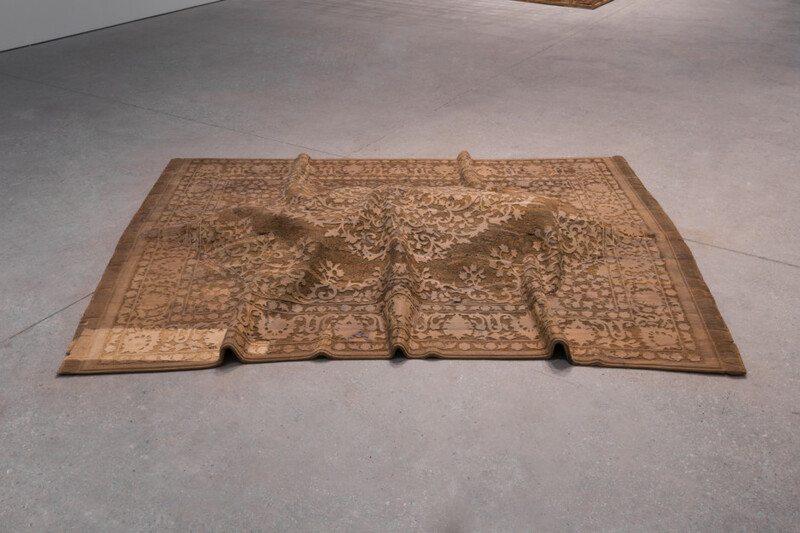 Another wooden carpet is placed in an enclosure representing the body, with its corners folded to fit in, raising existential questions such as who made it, how it got inside there, why it was folded, and how long it can remain there. What story does the armchair tell? This chair belonged to my father and I am fascinated by the impression of his body left behind on the seat. This cast I made of the chair in bronze and brass is a contemplation of his physical presence and the emptiness of his absence. What does the video of a man walking endlessly signify? The video is about the eternal journey of life. The man walking away is also about me as an artist walking away from the art objects I have created, and the underlying futility and artifice of putting on a show that leaves behind an experience of emptiness. What is the concept behind the broken porcelain objects repaired with wood? The process of creating these involved making wooden replicas of the porcelain, then deliberately breaking the porcelain, mapping the cracks and mending them with the wood. These works represent how ancient relics are displayed in museums to give visitors an idea of what they might have originally looked like. It is a way of retelling a story, of trying to bring an object back to life, even if it is rendered non-functional. A Song, A Story and The Empty Vessel will run at Leila Heller Gallery, Alserkal Avenue, Al Quoz, until March 12.